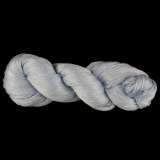 100% Bombyx Silk 120/2; also call 'Cultivated Silk' or 'Mulberry Silk' 95g, 6,270 yds/skein. 100% Bombyx Silk Yarn; also call 'Cultivated Silk' or 'Mulberry Silk' 2,450 yds/lb; 130g, 700 yds/skein. 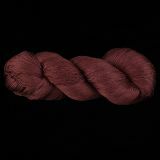 100% Bombyx Silk Yarn; also call 'Cultivated Silk' or 'Mulberry Silk' 2,450 yds/lb; 70g, 375 yds/skein. NEW Color--olive drab/ 100% Bombyx Silk Yarn; also call 'Cultivated Silk' or 'Mulberry Silk' 2,450 yds/lb; 85g, 455 yds/skein. NEW Color-a warm plum color! 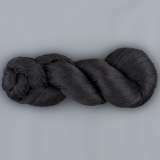 100% Bombyx Silk Yarn; also call 'Cultivated Silk' or 'Mulberry Silk' 2,450 yds/lb; 510 yds/skein. NEW Color-the color of wheat during harvest! 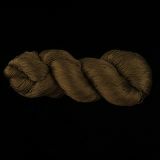 100% Bombyx Silk Yarn; also call 'Cultivated Silk' or 'Mulberry Silk' 2,450 yds/lb; 510 yds/skein. NEW Color--the blue-green-gray color of showers in April! 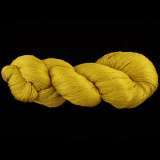 100% Bombyx Silk Yarn; also call 'Cultivated Silk' or 'Mulberry Silk' 2,450 yds/lb; 510 yds/skein.